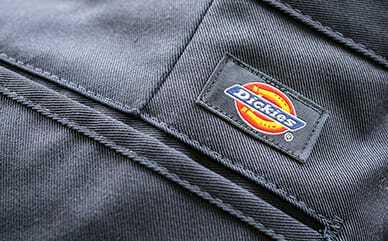 Race through your day with the super-soft brushed stretch twill Dickies’ Checkered Side Stripe Skinny Work Pants. Made with enough stretch, the skinny trouser design is fitted to your body. A checkerboard tape design runs down the sides of the pants to give off that racing vibe.